STRONG SLAUGHTER!!! 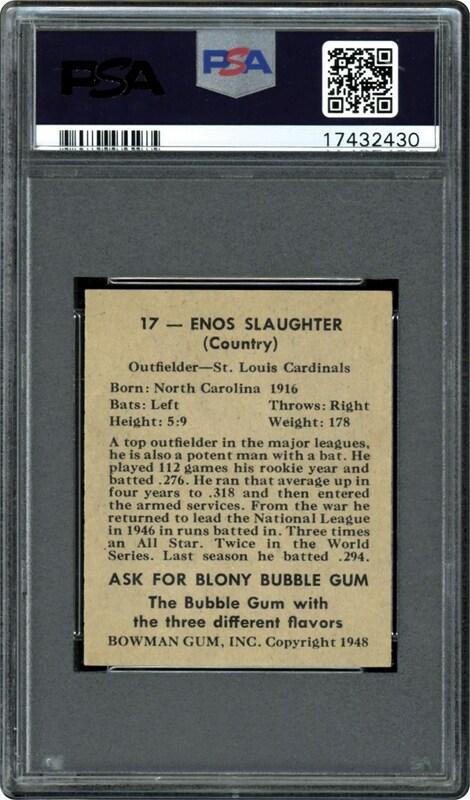 A young Enos Slaughter ready for your high end collection. 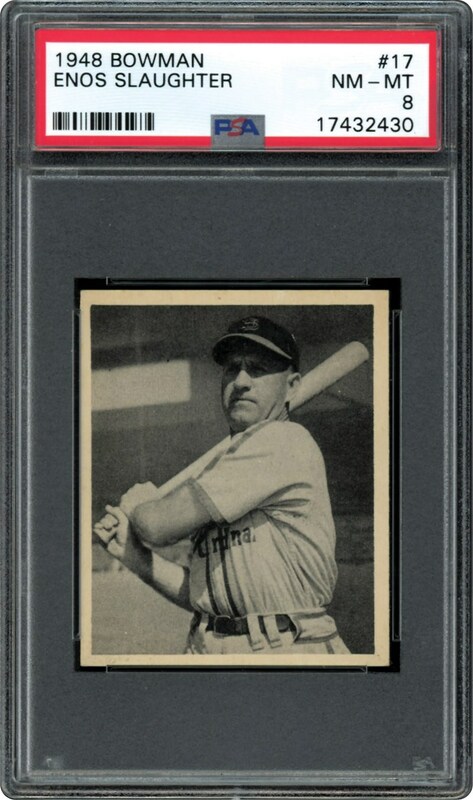 A great looking card with a bold background and sharp corners. Pack fresh example, this one is borderline MINT.